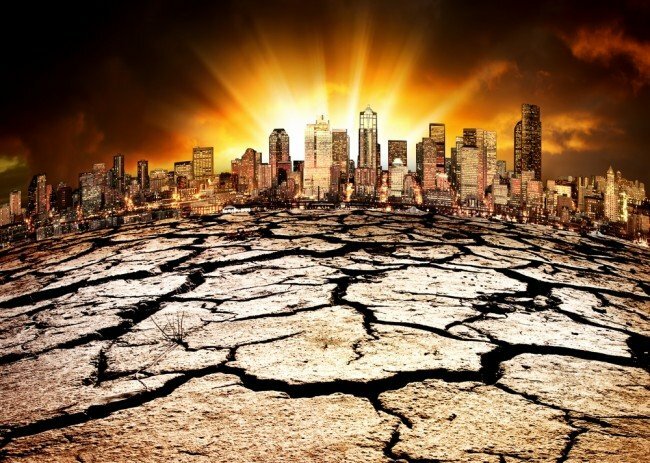 According to a study by three US universities, the Earth has entered a new period of extinction and humans could be among the first casualties. The report, led by the universities of Stanford, Princeton and Berkeley, said vertebrates were disappearing at a rate 114 times faster than normal. The findings echo those in a report published by Duke University in 2014. The last such event was 65 million years ago, when dinosaurs were wiped out, in all likelihood by a large meteor hitting Earth. The scientists looked at historic rates of extinction for vertebrates – animals with backbones – by assessing fossil records. They found that the current extinction rate was more than 100 times higher than in periods when Earth was not going through a mass extinction event. Since 1900, the report says, more than 400 more vertebrates had disappeared. Such a loss would normally be seen over a period of up to 10,000 years, the scientists say. The study – published in the Science Advances journal – cites causes such as climate change, pollution and deforestation. Given the knock-on effect of ecosystems being destroyed, the report says benefits such as pollination by bees could be lost within three human generations. Stanford University professor Paul Ehrlich said: “There are examples of species all over the world that are essentially the walking dead. The International Union for Conservation of Nature (IUCN) says at least 50 animals move closer to extinction every year. Around 41% of all amphibians and 25% of mammals are threatened with extinction, it says. According to the IUCN, the lemur faces a real struggle to avoid extinction in the wild in the coming years. The group says that 94% of all lemurs are under threat, with more than a fifth of all lemur species classed as “critically endangered”. As well as seeing their habitat in Madagascar destroyed by illegal logging, lemurs are also regularly hunted for their meat, the IUCN says. In 2014, a report by Stuart Pimm, a biologist and extinction expert at Duke University in North Carolina, also warned mankind was entering a sixth mass extinction event. But Stuart Pimm’s report said the current rate of extinction was more than 1,000 times faster than in the past, not 114, as the new report claims. The new report’s authors said it was still possible to avoid a “dramatic decay of biodiversity” through intensive conservation, but that rapid action was needed.